Even if an occasional cigarette is smoked, this can prematurely age skin. Those who smoke cause damage to many areas of their body, such as their skin. 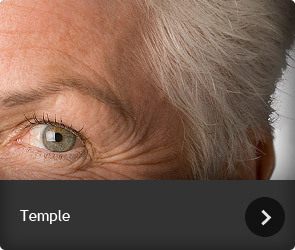 More wrinkles can be on a smoker’s face and their body in general. By abstaining from smoking or second hand smoke, wrinkles are prevented from developing. It takes more facial muscles to frown than it does to smile. When someone constantly frowns, their forehead can have many wrinkles as a result. By frowning as little as possible, less pressure is put on facial muscles. By applying water-based moisturiser every day, skin is revitalised. When skin isn’t moisturised, it can become flaky. In fact, many types of moisturiser have anti-ageing properties. When dirt stays on skin, this can cause a lot of damage. Soapy water should cleanse the face every day. When someone has oily skin, this can cause excessive wrinkles when they don’t clean themselves on a daily basis. Other than soapy water, there are many lotions which have deep-pore cleansing properties. Although soap can help skin, a person should also exfoliate. By rubbing the body with a flannel or a loofah, dead skin is removed and fresh skin can grow. After exfoliating, skin should be moisturised in order to rejuvenate it. Skin is damaged when it is not protected against UV Rays. Sun tan lotion which has a high SPF rating should be applied to skin in high temperatures. Be careful to choose sun tan lotion according to the strength of UV Rays. When sun tan lotion that has a low SPF rating is applied when the temperature is very high, it won’t provide proper protection. Consequently, skin can be damaged. Over time, serious health problems such as skin cancer can develop. The skin is the body’s biggest organ. When not enough water is drunk, it can begin to crack. Drinking approximately 1.5 litres of water will not only keep your body hydrated but it’ll lessen the chance of skin damage happening. An average of eight hours sleep every night is needed for the body to fully heal itself. If someone has dark bags under their eyes, they will look older than they actually are. However, by getting plenty of sleep, those bags will reduce or disappear altogether. The human body needs sugar to function. However, when too much sugar is eaten i.e. chocolate, cakes, this can cause acne. By cutting out refined sugar to an absolute minimum, the damage caused by excessive consumption is reduced. When five portions or more of different fruit and vegetables are eaten every day, the body is provided with enough nutrition. If it doesn’t have sufficient nutrition, a person’s skin can age prematurely. The same fruit and veg portions should be avoided and a variety must be eaten instead. This post was brought to you by Northern West Independent Hospital . They are a private hospital who specialise in cosmetic surgery. To find out more about this hospital please see the link. Solutions For Congested Skin – 5 Steps Away!